A magnitude 2.5 earthquake occurred at 11:46PM local time, and was located 6 miles ENE of Plymouth, NH. The earthquake was felt throughout central New Hampshire. 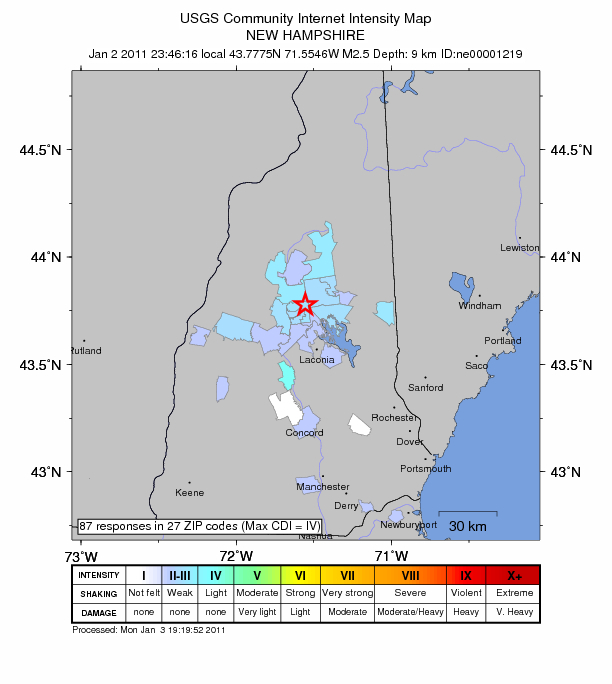 January 2, 2011 New Hampshire M 2.5 earthquake as recorded by New England Seismic Network (NESN) station WES (Weston, MA).